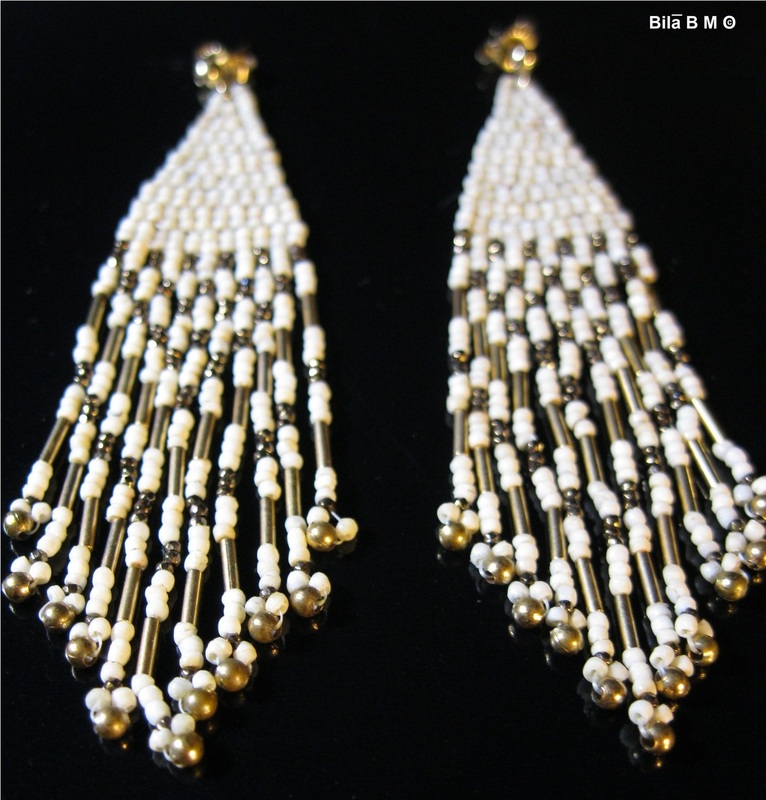 Vintage Gold Filled CHANDELIER EARRINGS with 14kt Gold Posts. 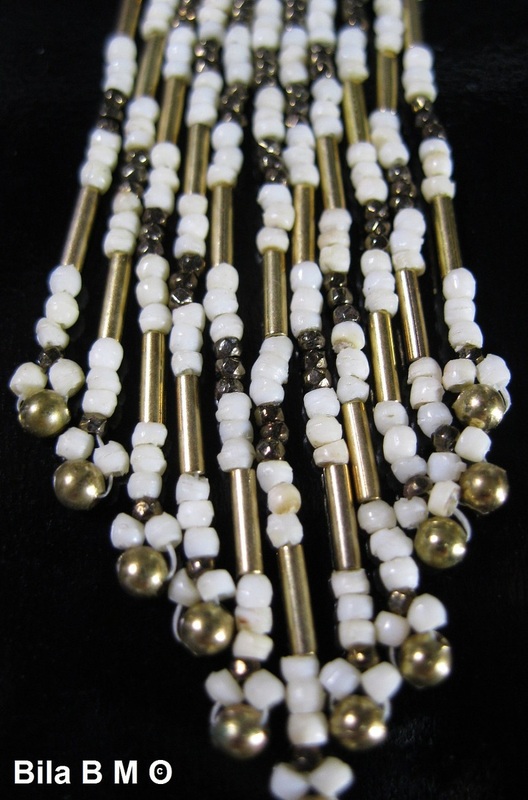 Hand tied white seed beads, Gold Filled tube beads, faceted shape gold fire-polished beads, and Gold Filled beads onto 14kt Gold Posts. Marked 14kt GOLD. 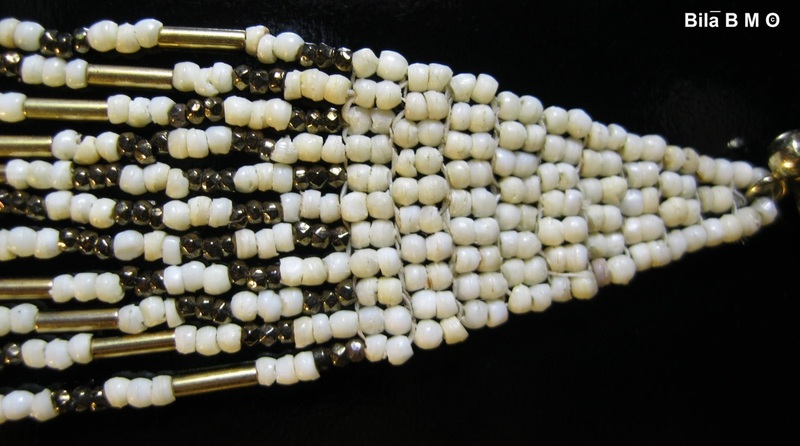 Measures 3 1/2 inches long and 5/8 inches wide. Weighs 6 grams. 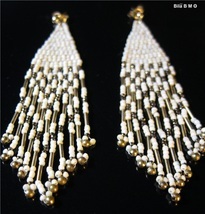 Elegant, vintage earrings!!! ..... Also enjoy FREE SHIPPING with delivery confirmation (tracking number) and FREE INSURANCE. ..... Please contact seller before ordering from Canada ..... Thank you for shopping at quadrina!! !